1. 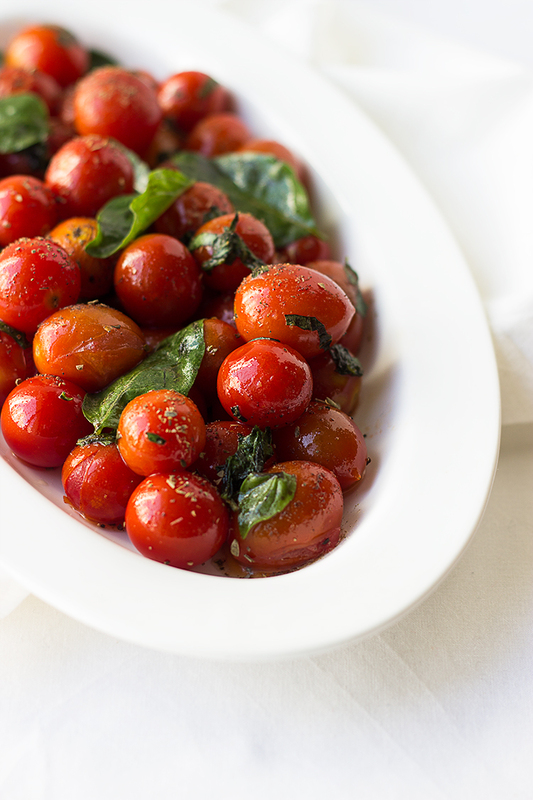 Heat the olive oil in a saute pan, large enough to hold all the tomatoes in a single layer. 2. Add the tomatoes along with salt, pepper & herbs. Cook on low flame for 5-7 minutes tossing occasionally till the tomatoes start loosing their firm shape. Sprinkle with fresh chopped herbs at room temp or hot.